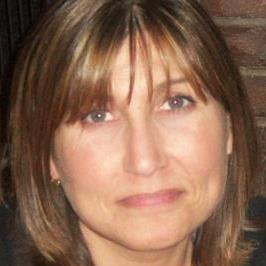 Michele Jane (Parker) Parrelli, age 48, originally of Rockland Ma passed away after battling a long illness. Michele was the loving daughter and best friend of the late Beverly Parker. She is survived by her father Michael Parker of Rockland and her loving brother Heath Parker, his wife Lauren Parker as well as her nephew Austin Parker and niece Anna Parker of Hanover. Michele is survived by her boyfriend Dan Stearns of Whitman, her grandmother Carmen Fautt of CA, and her Uncle Joseph Angie of Rockland. Michele was the devoted cousin to Lisa Suarez and her beautiful children Ethan and Ella Suarez of Rockland. She also leaves behind her loving cousins Madison Mahoney of Rockland and Mark Sullivan of Plymouth. In addition to her mother Beverly, Michele was welcomed home to heaven by her grandparents William and Mildred Angie, her Aunt Brenda Corvi and cousin Paul Sullivan. Michele had one of the biggest hearts, always there to lend a hand to family and friends. She enjoyed the outdoors, gardening, shopping on QVC, anything from the 80's era, spending time by the pool with friends and going for walks. She was extremely devoted to her dog Spike, and rarely left his side. Michele's family was important to her and she loved spending as much time as possible with her loved ones. She was loved by many and will be deeply missed. In lieu of flowers donations may be made to the Lupus Foundation of America. A celebration of Michele's life will be held at a later date.